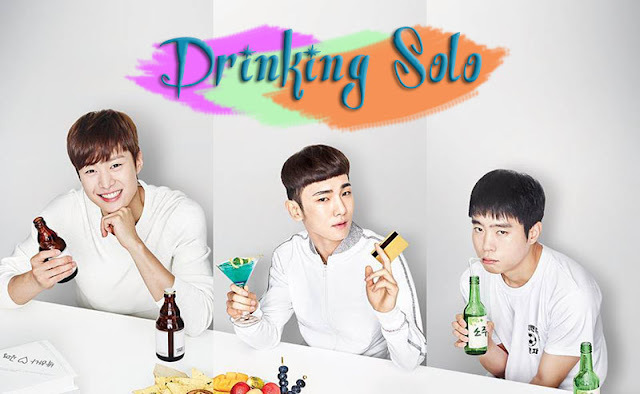 Drinking Solo Episode 1 – 16 broadcasted by TVN. Download and watch this Korean Drama series with English subtitle and Indonesia subtitle. This drama is about the slice-of-life and daily activities around the teachers, students, staffs of a private institution that prepares for civil service exam around the area of Seoul’s Noryangjin. The characters like to drink alone afterwork for their own reasons. The story also depicts the romance between Jin Jung Suk and Park Ha Na. Jin Jung Suk (Ha Suk Jin) is a good looking and professional star lecturer. Meanwhile, Park Ha Na (Park Ha Sun) is a rookie lecturer who struggles to survive in the private institute world.